Impatient Plant – Plant a simple impantien into a bright colored plastic pot. Tape a card onto a pencil and stick in dirt. Tie a ribbon. Cute and witty. Lantern – We bought a lantern from Target and fill with chocolate covered pretzels. 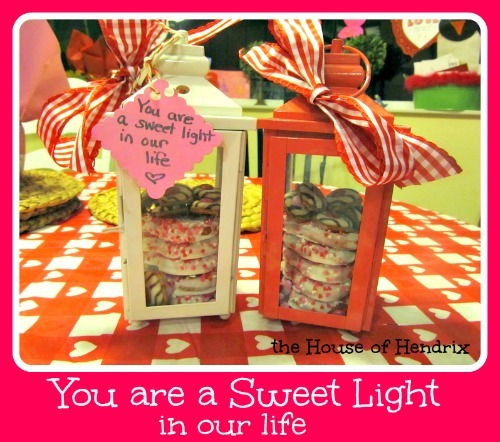 Attach a card with a reference to the teacher being a “light” in your life. 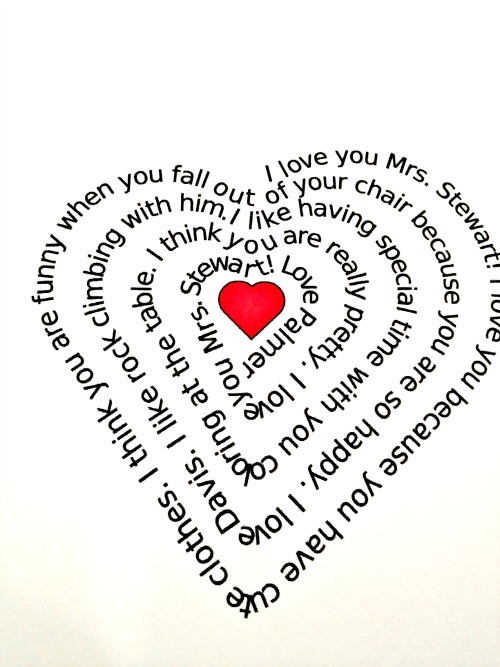 Personalized Heart Poem – I asked my child what they love about their teacher, typed in his reply on this link , and it generates a heart shaped card. Print and give. You can never go wrong with a child’s sweet words. Say it with socks – ” I am Blessed and Grateful for you!” – These socks from Notes to Self are my obsession at the moment. 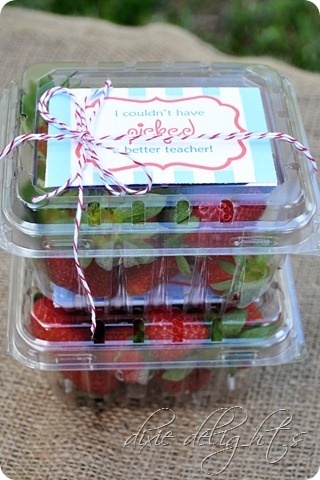 Here’s an affiliate link Hand Picked strawberries – with a cute tag “I couldn’t have picked a better teacher”(from Dixie Delights). 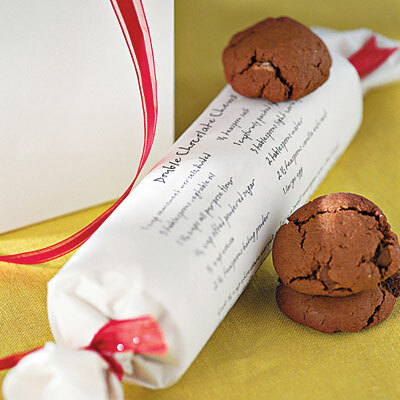 Homemade Cookie Dough – Wrapped adorably in parchment paper, a favorite cookie dough has always been a well received gift. You can write a recipe directly on the parchment or print it out. You can also print the label from Nato’s photo from this link. 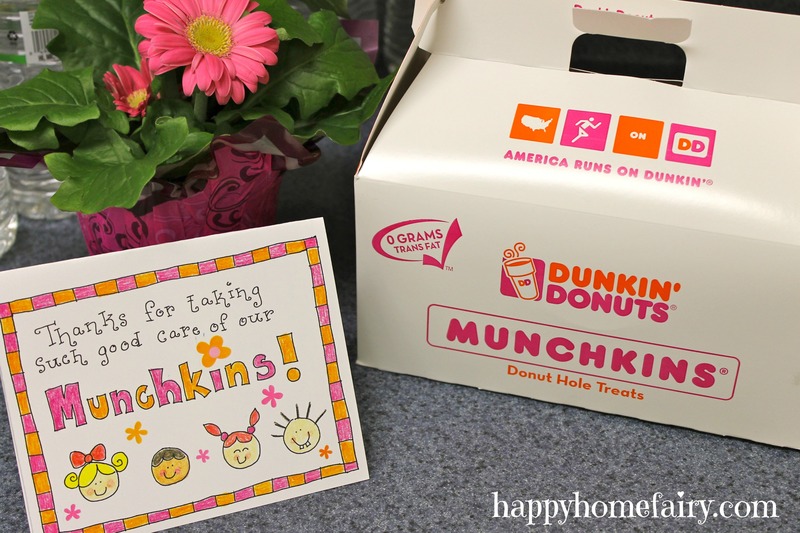 Munchins – Cute idea from the Happy Home Fairy to bring in Munchkins with note. Click here to print their note. 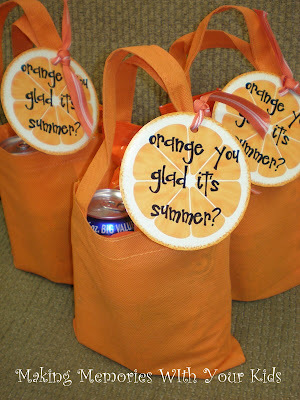 “Orange you glad it’s summer” Printable – I found the printable over at Coley’s Corner and you can attach it to pretty much anything. Thanks to them for allowing us to use it. 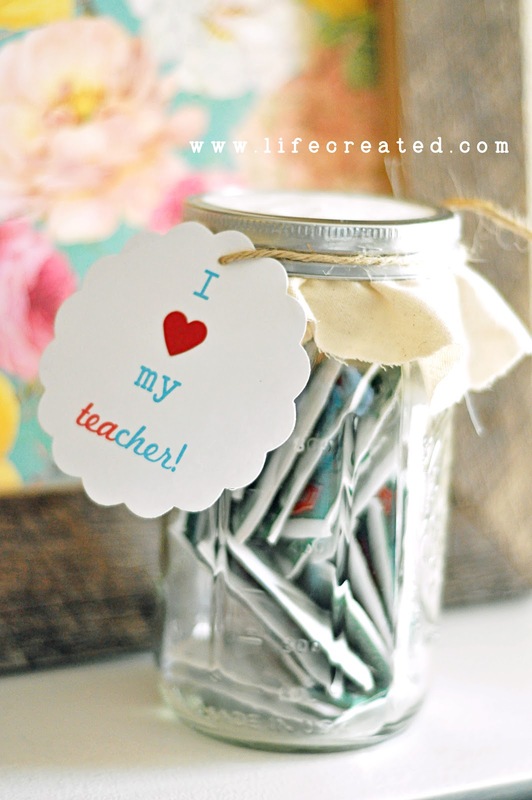 Gift Card – “A teacher can’t survive on apples alone…” – I saw this months ago as a Christmas gift but think it’d be just as cute for a year end gift. Cake Pop Stand – after packaging each cake pop in plastic bags from Michaels, we wrapped a styrofoam rectangle in wrapping paper, stuck them in, and made a sign. Great Grab and Go treat when lots of teachers are involved. 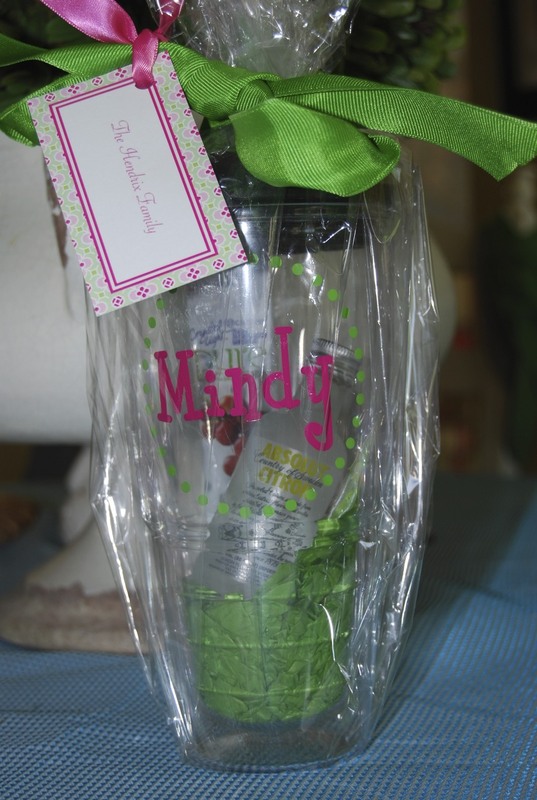 Personalized Gifts – These ideas are easiest if you have a die cutter machine. 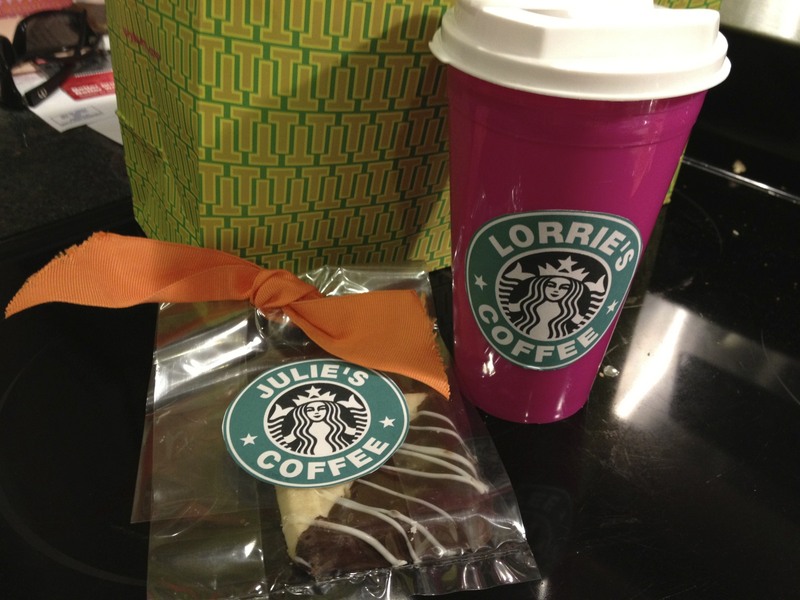 Here are some ways we personalized an inexpensive item which are just so much fun to receive. 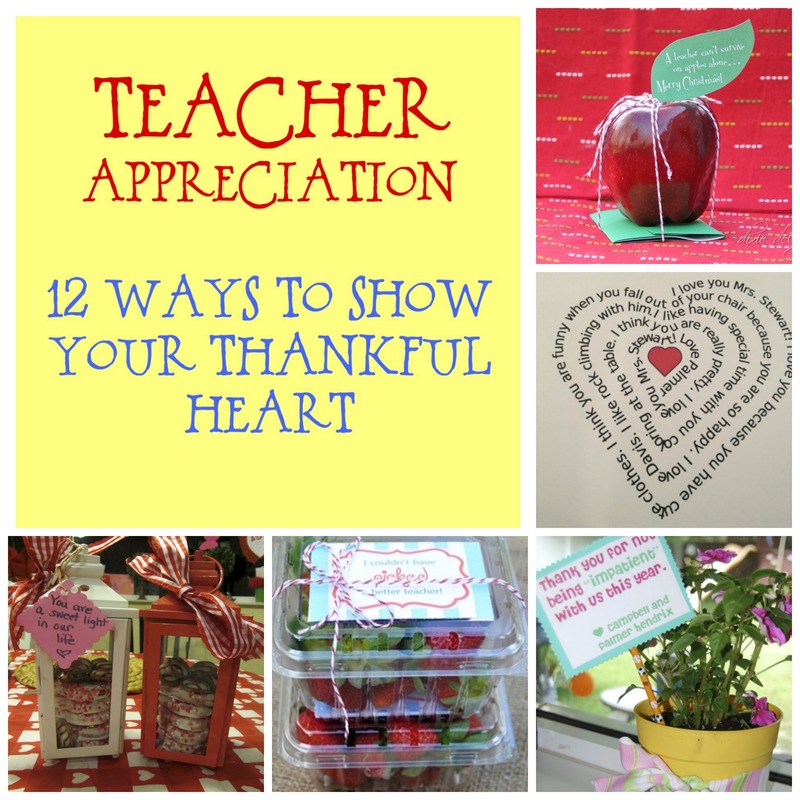 This entry was posted in holidays, kids, NrelateShare, teacher appreciation, Valentines and tagged Kids, lists, Say it with socks - " I am Blessed and Grateful for you!" -﻿ These socks are my obsession at the moment., teacher appreciation. Bookmark the permalink. These are really great suggestions! My favorites are the jar filled with tea and the lanterns with pretzels. Also, I love knowing when I come to your sight. I love the feet at the top. I have visited your site (from Pinterest) a few times in the past couple of days. Love your site! These are great ideas. Found link on Pinterest. 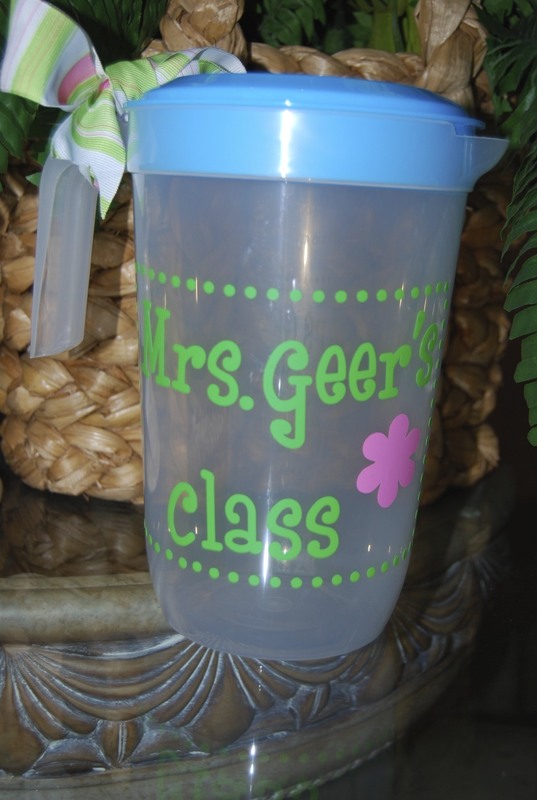 A teacher friend of mine said they would prefer to get something like this other than a gift card. These are incredible idea’s!! 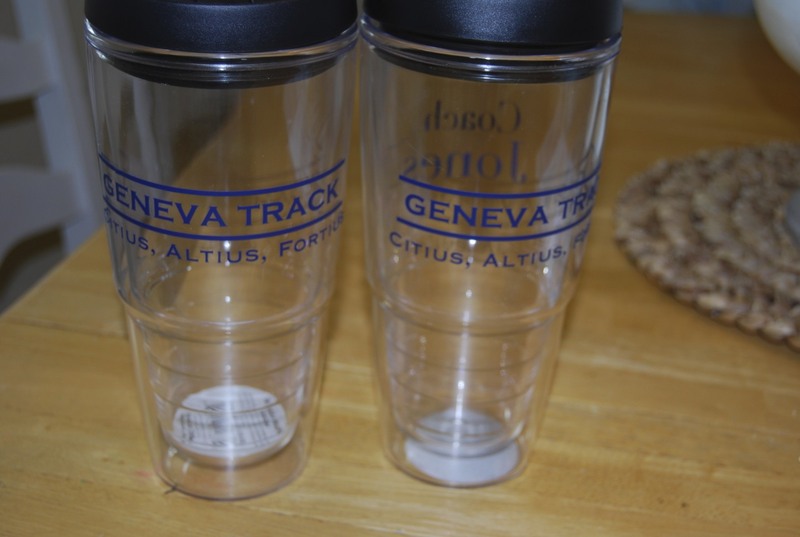 These will be used throughout the year, as our school has a teacher appreciation day, about every other month – instead of a week long event. Thank you – Thank you – Thank you!!!! !